Our daughter is a simple, friendly girl and a perfect blend of traditional values and modern thinking. She is focused, hard working yet modest. She enjoys reading, listening to music and spending time with family and close friends. About her Family: Ours is a modern, loving, nuclear family. I am working as a senior officer in PSU based in Ahmedabad. My wife is a private tutor. 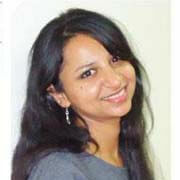 My younger daughter is pursuing BDS in Manipal, Karnataka. 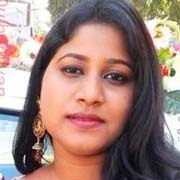 Education: She has done her schooling from DPS Ahmedabad, B.Tech in Electronics and Instrumentation Engg from NIT Rourkela and MBA (Finance) from XIMB.Occupation:She is working as Analyst in ICRA Ltd in Ahmedabad.!!!#!!! 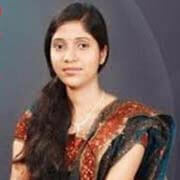 I am working with a financial concern and based at pune. Belong to a middle class family and have moderate values. My father and brother work for LIC. My mother and sister in law are home makers. My sister is in bangalore with her family. 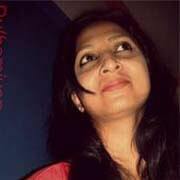 \r\nI am looking for a loving person with whom I can create good memories for the upcoming days in life. Thanks for visiting my profile and all the best for your search for finding your soul mate.\r\nAbout her Family: Belong to a moderate family. \r\nEducation: BA LLB Occupation Working for a financial concern and would like to continue working after wedding.!!!#!!! My sister is DEAF AND MUTE from birth. She loves painting and has done diploma in arts and craft. Though she is deaf and mute she takes care of the whole house and our family and lives a normal life. My father is a Contractor by profession and mother a homemaker. I have one elder brother whose is married and presently staying in USA. He works for a Software Company. My younger sister is also married. Her husband is working for a reputed software company. We are Oriya Khandayat family. looking for a good person, He should be self sufficient and lively. She is Physically Handicapped from birth, Hearing Impaired. !!!#!!! She is a confident, fun loving and independent girl. Has a very simple and un complicated approach towards life and deals with the situations as and when they came. She has a firm belief in core human values and decent living. About her Family Father is working at Tata Steel Mother is Housewife One Brother is studying \r\nOne Sister is studying Education Schooling from Odisha board \r\nBA from Keonjhar government college MBA From KIIT Occupation !!!#!!! 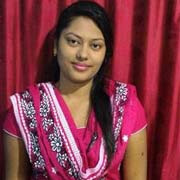 I born in Orissa and grew up in Assam and UP. We moved to Assam (My father joined Oil Refinery Unit) when I was 2 years old. We stayed there for 13 years. I have completed my schooling from KV. Then we shifted to GAIL India Ltd, and did my class 12 from Lucknow. After that I joined Engineering in Electronics and Instrumentation in Orissa. And completed MS in Advance Micro Electonics and VLSI design from IIIT. After College, I worked with MNC in Bangalore - for more than 4 years as Sr. R&D Engineer in VLSI Domain (Mostly related to Processors). Currently I am working with USA based Semiconductor MNC in Bangalore and designing Chips for Network Applications. Work is quite fun as I have a great passion towards VLSI. I don't know if I can describe my personality without being biased but I guess my friends describe me as quite enthusiastic and fun loving girl. Some of my passions are food and paintings. After College, I worked with MNC in Bangalore - for more than 4 years as Sr. R&D Engineer in VLSI Domain (Mostly related to Processors). Currently I am working with USA based Semiconductor MNC in Bangalore and designing Chips for Network Applications. Work is quite fun as I have a great passion towards VLSI. I don't know if I can describe my personality without being biased but I guess my friends describe me as quite enthusiastic and fun loving girl. Some of my passions are food and paintings. !!!#!!! I am putting this profile for my daughter. we are from bhubaneswar. \r\nMy daughter is a veterinary doctor by profession and currently perusing her Phd degree.She is our second child.We are looking for a suitable alliance for her.\r\nEducation : Continuing PhD in Veterinary Sciences !!!#!!! I have done M.A . I am teacher in pvt. Sector. Earning 1 LPA . I m very possessive person, extremely cheerful and positive girl. 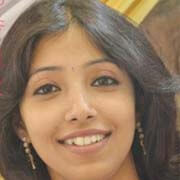 Looking for a good life partner and near Orissa matches. She is a soft spoken girl, a mixture of modernity seeped in family values. 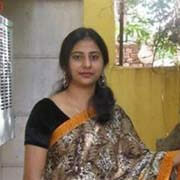 she belongs to a respectable family.\r\nAbout her Family,father is not working now and mother is house wife. one sister only two brothers both are working, Education, Done schooling from odisha board ,Done graduation BA from utkal university ,Done B.ed from utkal university !!!#!!! I am very simple in nature. Love to make fun. I m crazy about travelling and photography. i love sea beaches. I enjoy every bit of life. I love going party pubs and very much a social person. I always make my surroundings happy. I believe in hard work and always believe in myself. I am a Software techie. I love to talk much. I am my favorite. I have MCA/PGDCA,BCA & I am a software professional. 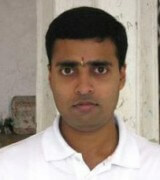 I am presently working in private sector in Bangalore. I belong to an upper middle class , nulear family with moderate values. 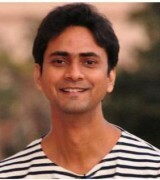 My son is fair, intelligent, understandable and a very responsible boy .He is born and brought up in West Bengal. Studied in english medium throughout his carrier. He completed his graduation(B.Com Hons) from St. Xavier's College,Kolkata .He is also a qualified MBA (Finance) and CFA (Chartered Financial Analyst). At present , he is working at a reputed private sector company as a Compliance Officer. He is very responsible and caring. I am looking for a perfect match for my son. She should be fair,simple,loving,caring,educated, and an understandable girl. Caste doesn't matter, but she should be from a good family and give full values & respect to family relationships. !!!#!!! I value honesty, open-mindedness and courage. I am not at all materialistic and simple things make me happy.I love to travel and being close to nature. I am looking for some one who believes in living life to the fullest. Some one who has a good sense of humor and is adventurous. I belong to a small family of 5 members. I have two younger sisters both of which are married. \r\nI have done BE and then MBA. I am looking for suitable match. !!!#!!! This profile is created for my younger son who is a commissioned officer in Indian Air Force. He did B.tech. (CS) from U.P technical University in 2009. He is a technical officer (ground duties) in IAF. Father retired from defence & now in a private job. Mother is a dietician & now a house wife. Elder brother married & working with TCS. Daughter in law is also working with TCS. Caste no bar..Hindu family from north india, preferably from Delhi NCR, tall, well educated girl from service class, sobar, adjustable in all circumstances and we prefer a girl who is in teaching field.!!!#!!! I have done B.Com (Commerce). 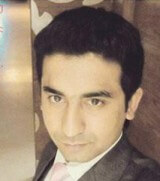 He is Working Private Sector as a Admin / Secretarial. Earning 7 LPA. I belong to Punjabi family, we live in Delhi and our own house. My mother is a house wife, i have one brother (Married). looking a good girl. !!!&!!! B.Tech (E&TC) from NIT, Nagpur, MFE from Said B School, Oxford, the degree is globally most specialized in Investment Banking and has now completed CFA in London. 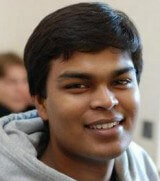 Presently working as a Finance Investment Banking Professional, specialized in Hedge Fund. He is an intelligent, sober and level headed boy with very good value system. An intelligent with good academic back ground, professionally qualified, value based and decent with matching attributes alliance having interest and flexibility to live and work broadly abroad (UK or USA) is being sought. !!!#!!! Our Oriya matrimonial site gives you the access to would-be Oriya brides from around the world. Look for Oriya grooms as well, to suit your need. The profiles you will find are of cultured and educated single people. Our Oriya matrimony site also provides you with security tips and frequently asked questions to make your search far more comfortable. At the same time, you can go through the reviews of the successful Oriya couples to get a feel of the Oriya matrimony site. Realize your dream of a traditional and beautiful Oriya marriage after you are done with Oriya matrimony login.